No need to wonder how to defrost your food in minutes any longer! Imperial Home Quick Defrosting Tray lets you thaw your frozen meat, or food quickly and naturally. You do not need to microwave your frozen meat to defrost, just place on the super defrosting tray and see the magic. This super defrosting tray is made out of high quality thermal conductive material to speed up thawing process dramatically. The tray does not need either electricity or batteries. It defrosts frozen goods naturally. 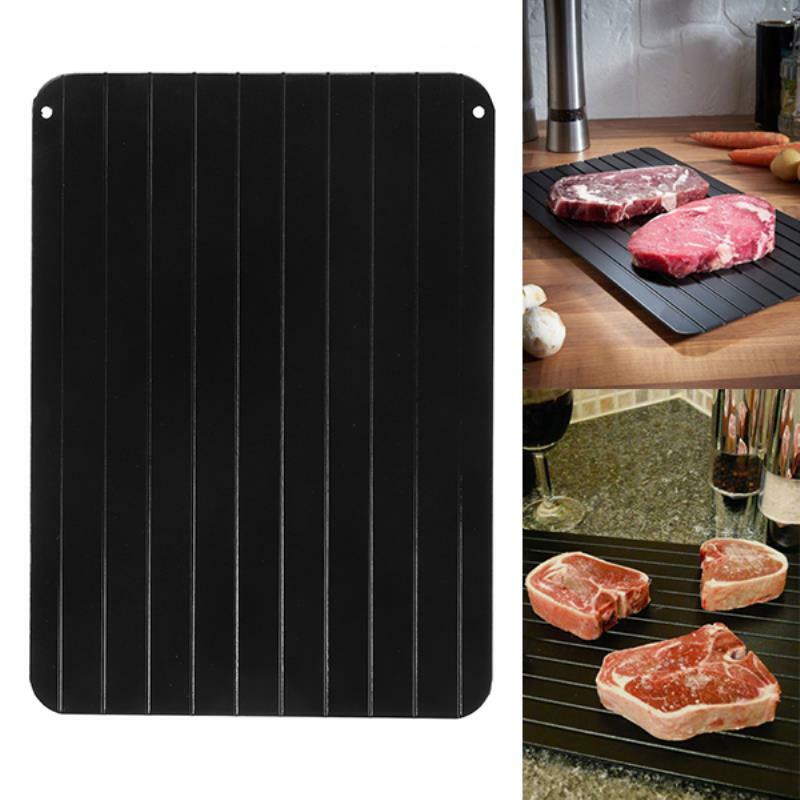 Deforest food within minutes - thaw chicken breasts, steak, pork chops, lamb chops and much more within 30-60 minutes depending on thickness. Absolutely no chemical or electricity is used. as opposed to microwave ovens that partially cook the food during the defrosting process, the tray defrosts everything safely and quickly. This magic defrosts tray stays cool to the touch throughout its use, no pre-heating or hot water is required. 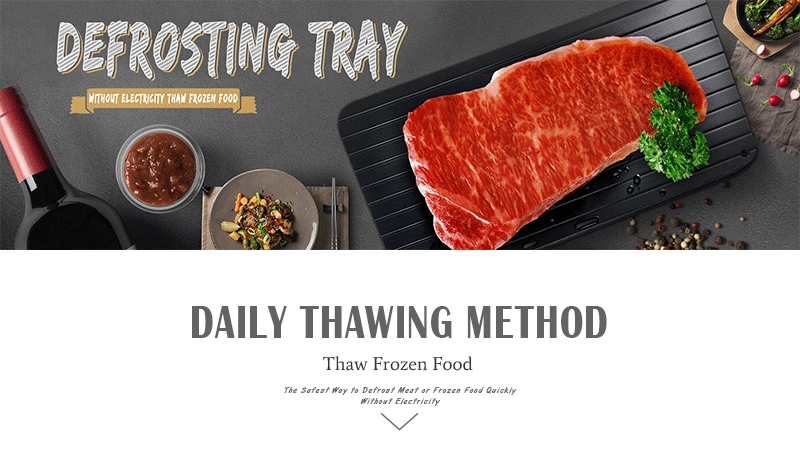 simply place frozen food onto the tray and it will do the work for you. Tray dimensions are 14 inches long and 8 inches wide. Imperial Home Defrosting Tray dimensions 14" x 8"
Buying items online can be a risk, so we want you to realize that there is absolute ZERO risk in buying something and trying it out. If you don't like it, no hard feelings we'll make it right. We will Give you 30 days money back guaranteed. Estimated 10 business days production time + shipping time unless coupled with products that have a longer stated production time. Leaving so soon ? We have a discount code for you!